Decorating a nursery is such a personal choice. Some like crisp, stark white while others love brash and bold colour. Then there’s those who like something different altogether… perhaps something a little French? These new handy canvas storage options feature superb photographic prints from the fabulous French photographer and artist Maron Bouillie. These petite canvas storage cubes are perfect for housing baby’s bits and bobs or hiding spare dummies from prying eyes. 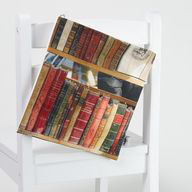 Maron’s images are printed straight on the 100 per cent cotton canvas and you can choose from Old Books, Wooden House or Vintage Cars. Also available are Maron Bouillie canvas pouches – gorgeous by themselves or hang them together in groups of three or four. They come in two designs – Old Books or Wooden Horse and Blue Chariot. Each pouch includes hooks so you can hang it wherever you like. 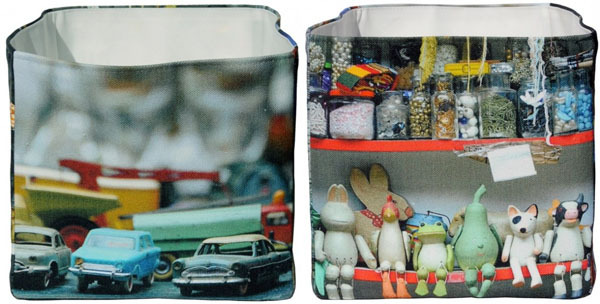 Maron Bouillie canvas storage cubes are $66 each and pouches $33 from Gallop Lifestyle.